Hart's graphic memoir about the untimely death of his young daughter, Rosalie. ...a searing read ... Hart’s meditation on loss draws on the work of Japanese animator Hayao Miyazaki and French intellectual Roland Barthes, among others. Hart crafts something that reads more like a love letter than an obituary. Rosalie Lightning, in all of its sadness and pain, is focused on exploring the beauty of hope and love that can still be found in the world even after such a tragic loss. 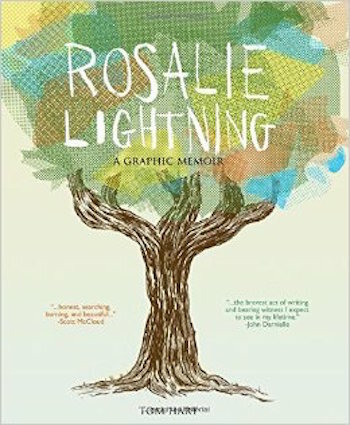 What did you think of Rosalie Lightning: A Graphic Memoir?